Shaw's Weekly Ad February 8 - February 14, 2019. Happy Valentine's Day! 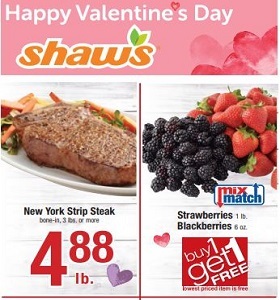 Shaw’s Weekly Ad February 8 – February 14, 2019. Happy Valentine’s Day! -$2.69 Lee Kum Kee Sauce; $3.49 Annie Chun’s Noodle Bowls.